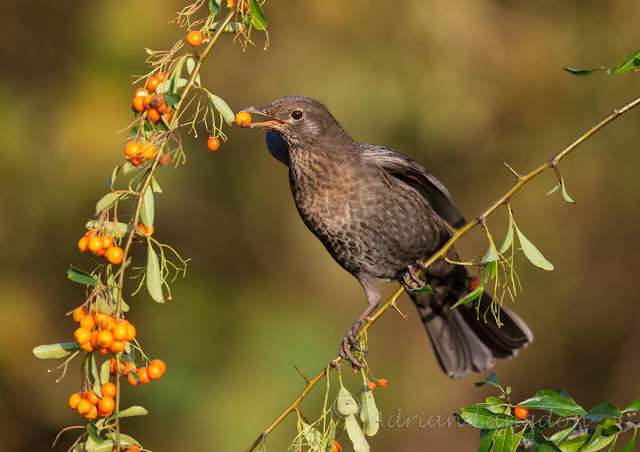 Blackbird feeding on Pyracantha berries 20th Nov 2017. 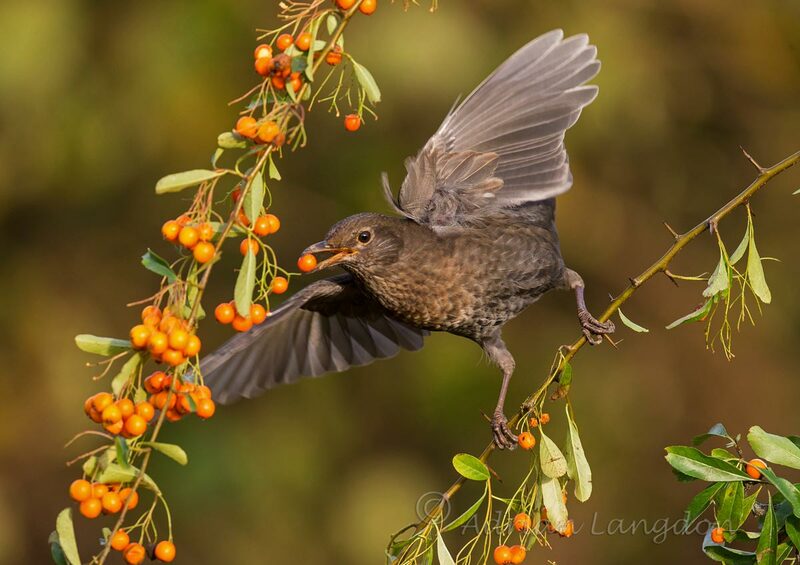 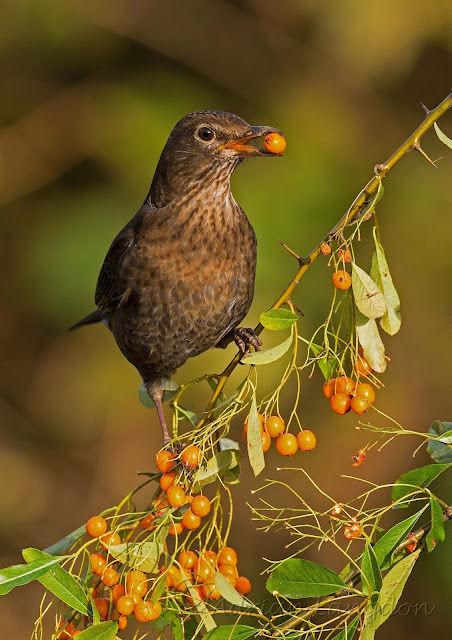 Photographed this female Blackbird feeding on Pyracantha berries today. 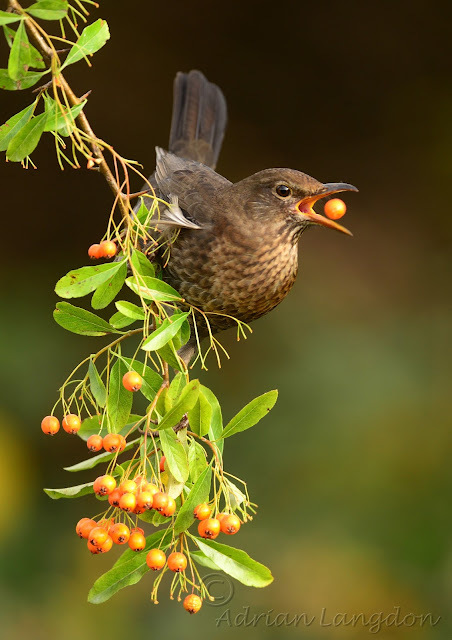 Was really hoping for Fieldfare and Redwing but this practice will set me in good stead for the Waxwing invasion later in the winter!